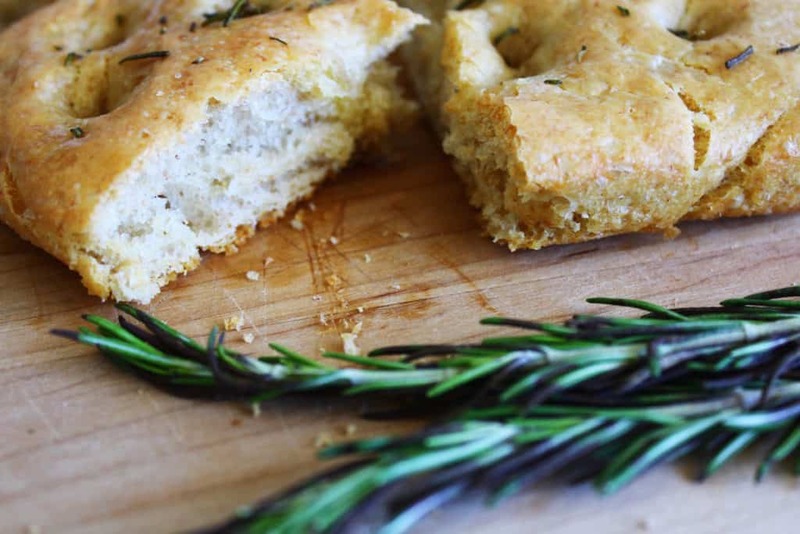 Focaccia bread is one of those totally sinful breads that the waiter at the Italian restaurant should never bring to the table, because once it’s there, it’s gone in 2.5 seconds. 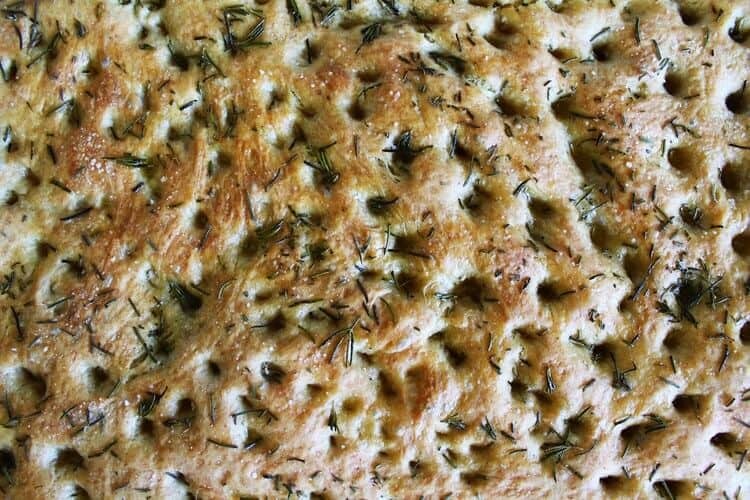 Salty, herbed, and infused with olive oil, focaccia bread is one food that’s hard to say no to. So why make a homemade version that I can easily eat up all by myself? Because I’m crazy! Loco in the cabeza! But I’m thinking you might be too, so I thought I’d share the recipe. One reason I really love this recipe is because of how straightforward it is. It’s got the typical rest and rise time required with baking bread, and outlines very simple ingredients. You also don’t need a mixer to create this bread (see Notes at the bottom of the recipe for more info). Another highlight, for me, is that the bread isn’t completely drenched in olive oil. 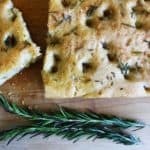 While I like my focaccia infused with the taste of olive oil, I don’t want to completely toss my health conscious attitude. Even though you use less olive oil in this bread than some other recipes suggest, I find that the taste is not at all compromised. I would recommend eating this bread warm out of the oven, then cutting the bread into medium to large squares and freezing them in a ziplock bag to use later for sandwiches or cheese spreads. Simply delish! Add the warm water to the yeast in your mixer's bowl. Wait approximately 5 minutes for mixture to become frothy. Add both types of flour, salt, and olive oil to the bowl. Knead with your mixer's hook attachment for at least 5 minutes. Dough will be very sticky. Add approximately 1/4 cup more of the all-purpose flour to the sides of the bowl and increase the speed to medium-high to help pull the dough away from the sides of the bowl. You will not get a compact ball and dough will remain very sticky, but this is OK. Grease a large bowl with spray oil (or by rubbing oil on the inside of the bowl), and then with flour dusted hands, transfer the dough to this greased bowl. Roll the dough around in the bowl so that it's covered in oil. Cover with a greased piece of plastic wrap and allow dough to rest for approximately 2 hours. After the 2 hours are up, dough should have doubled in size. Grease a standard baking sheet before transferring the dough to the baking sheet. Use your hands to spread out the dough evenly throughout the pan. Cover the pan with a tea towel (or an equally light/linen towel) and let dough rest for another 30 minutes. Meanwhile, remove the rosemary leaves from their stems and chop leaves in half. Preheat your oven to 375°F. Once the 30 minutes are up, use your fingers to create dotted imprints all throughout the dough. Drizzle a couple teaspoons of olive oil throughout the dough, making sure the oil flows into the indented spaces. Sprinkle the rosemary leaves and a couple pinches of the Maldon salt (or sea salt) on top of the dough. Bake the bread at 375°F for approximately 20-25 minutes before raising the heat to 425 degrees F for another 3 minutes or so, just so the bread becomes golden in color. If you don't have a mixer, you can use a very large food processor to mix and knead your dough. You can also use your hands by first mixing the dough in a bowl with a sturdy wooden spoon until it is as smooth as possible, then turning it out onto a lightly floured surface and kneading until smooth and elastic (about 10 minutes). You can totally do this! 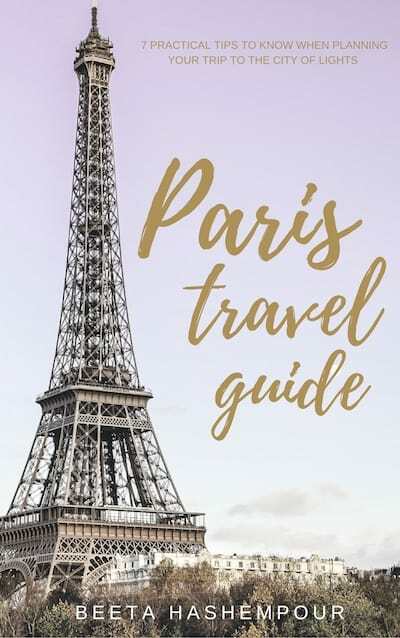 This was so easy to make – sticky, but easy! And you must because it’s so yummy.